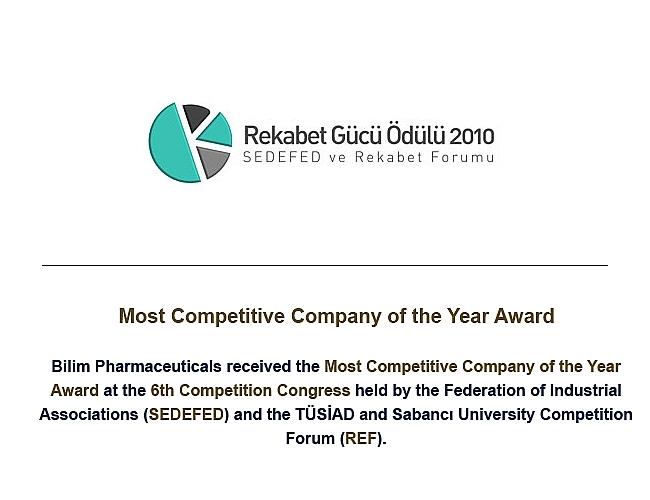 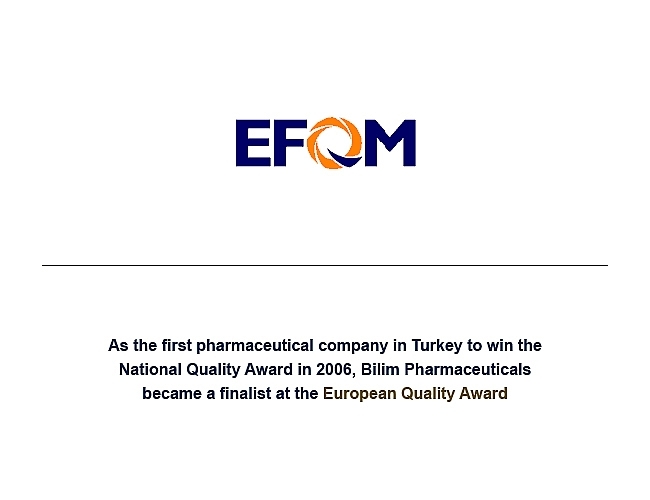 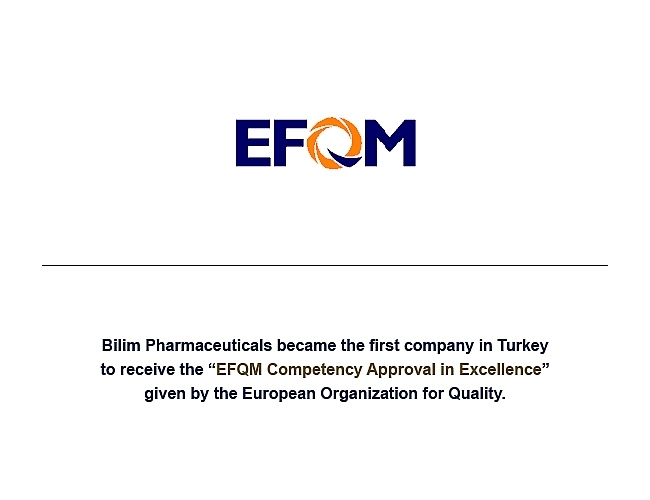 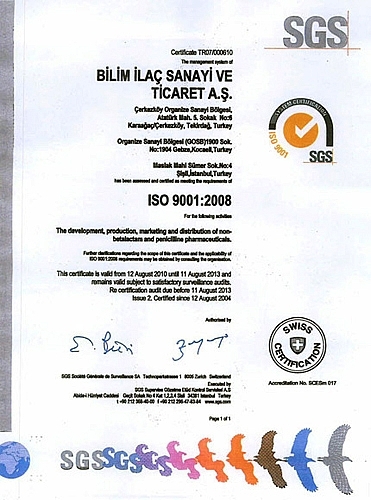 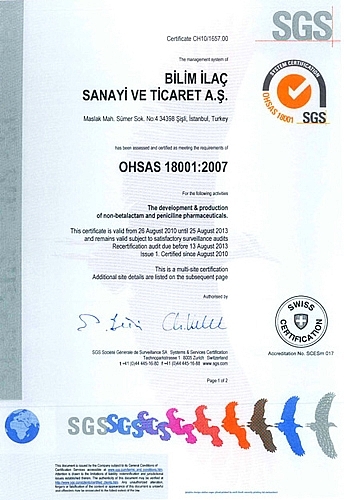 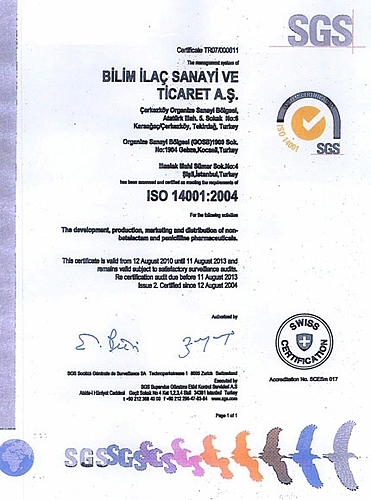 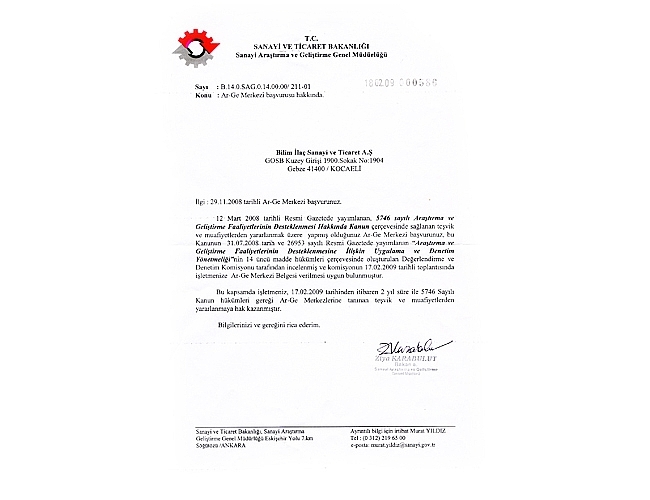 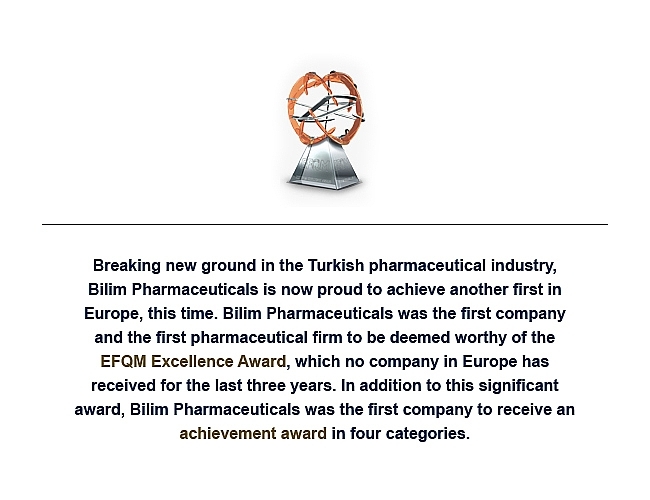 “EFQM Competency Approval in Excellence” as a first in the Turkish pharmaceutical industry. 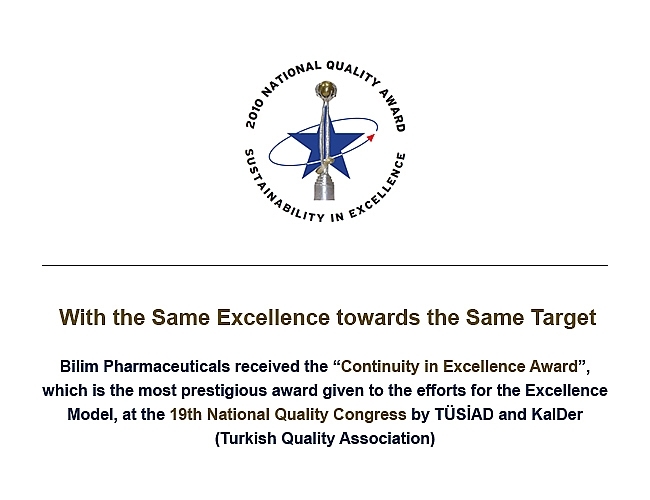 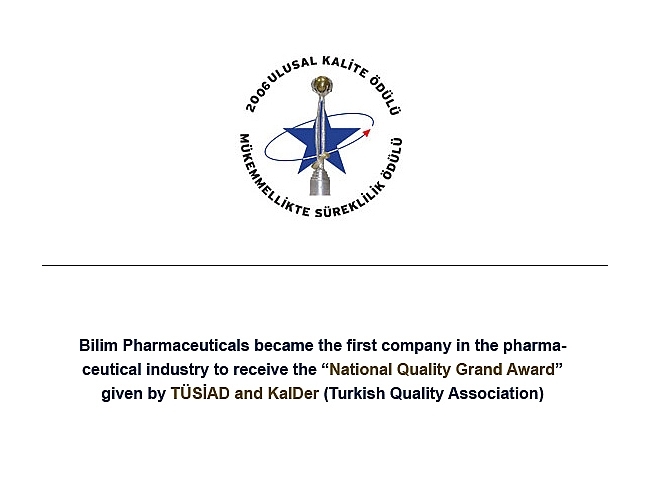 “National Quality Grand Award” as a first in the pharmaceutical industry. 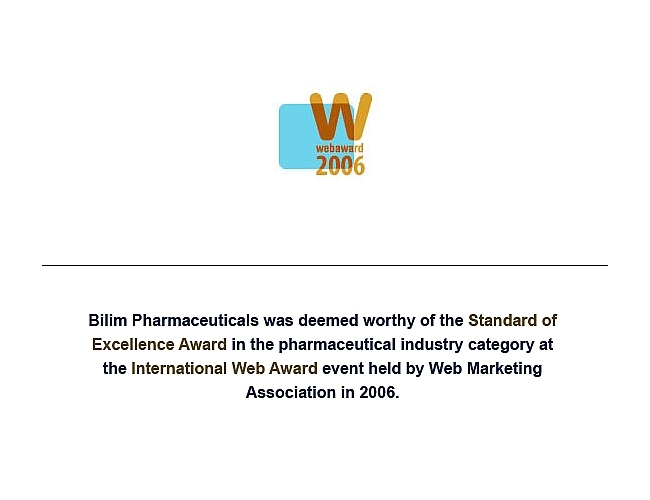 Standard of Excellence Award in Web Award event held by Web Marketing Association. 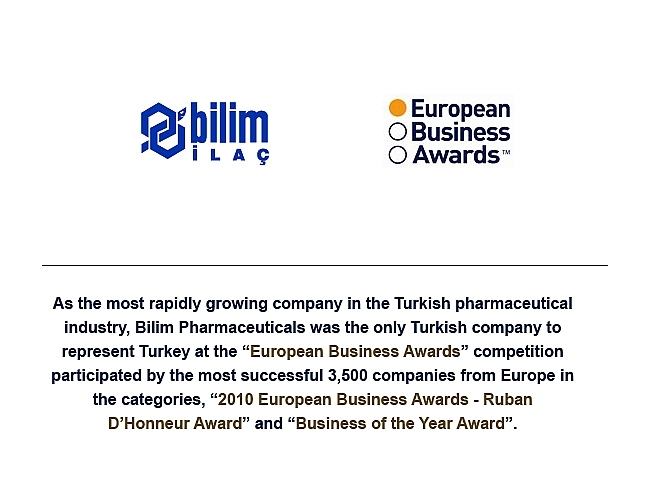 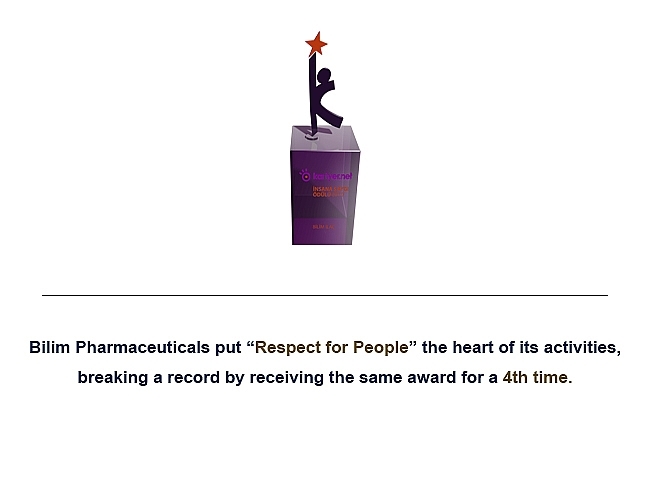 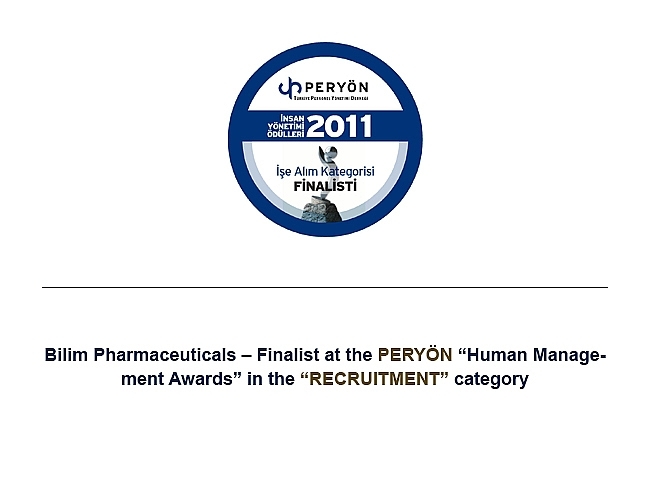 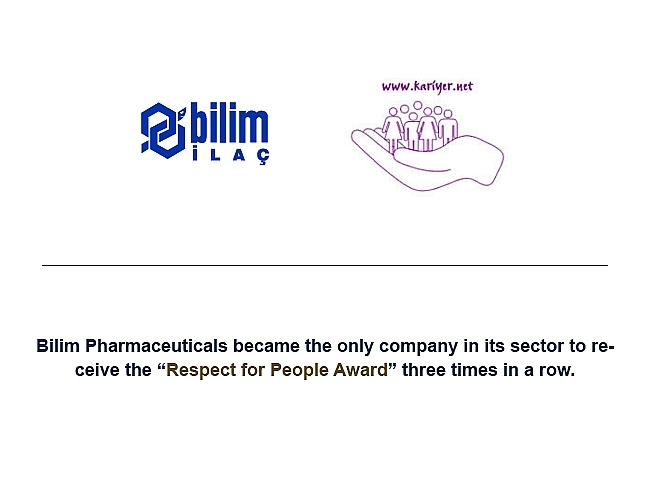 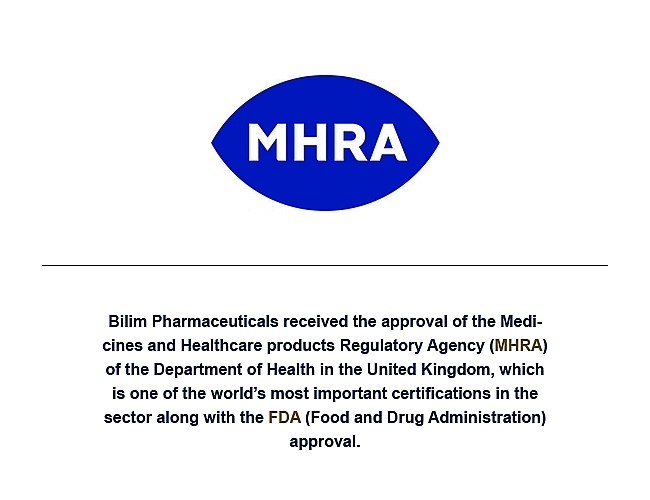 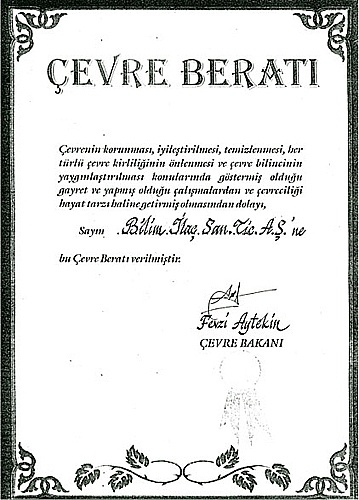 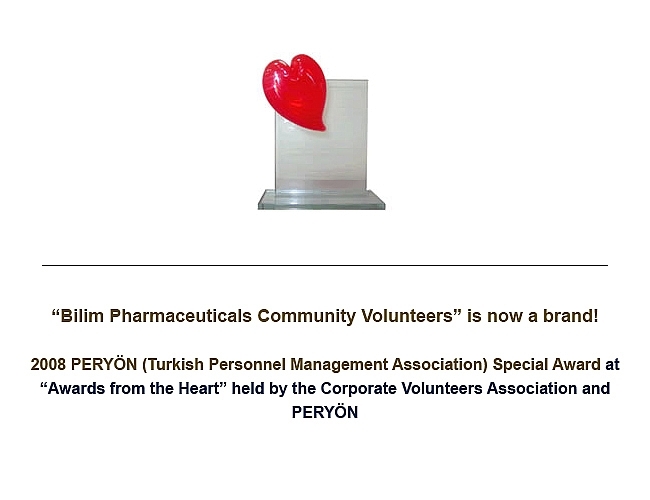 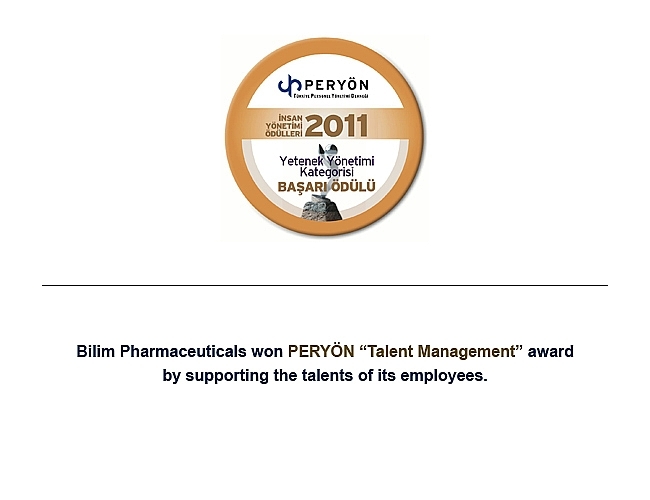 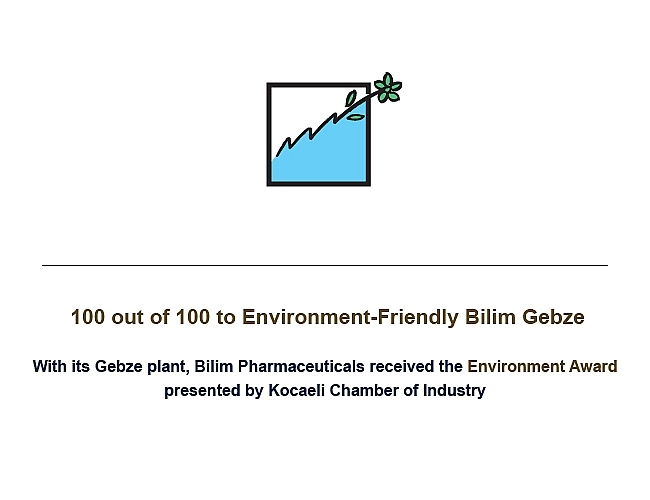 Bilim Pharmaceuticals was granted the “Respect for People” award in the pharmaceutical industry category by Kariyer.Net. 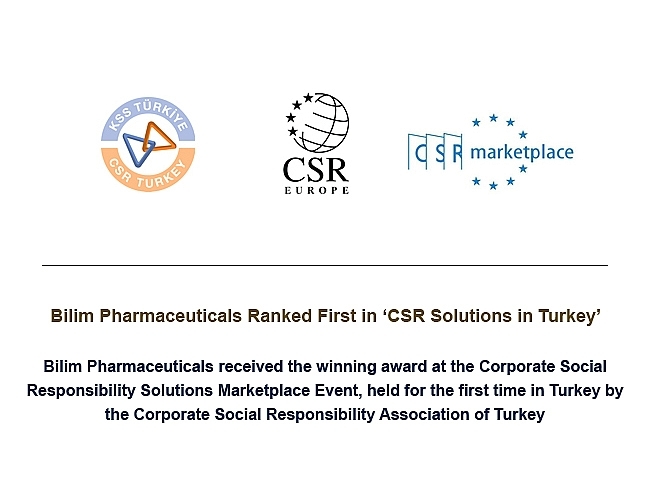 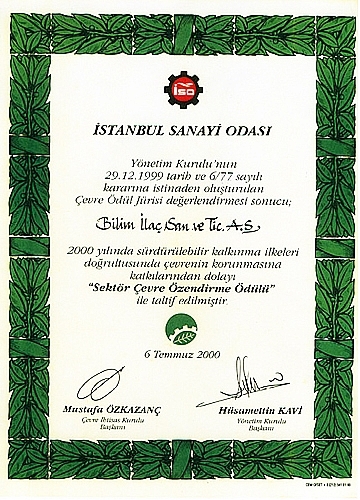 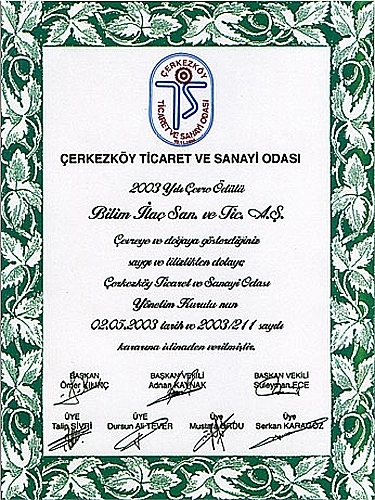 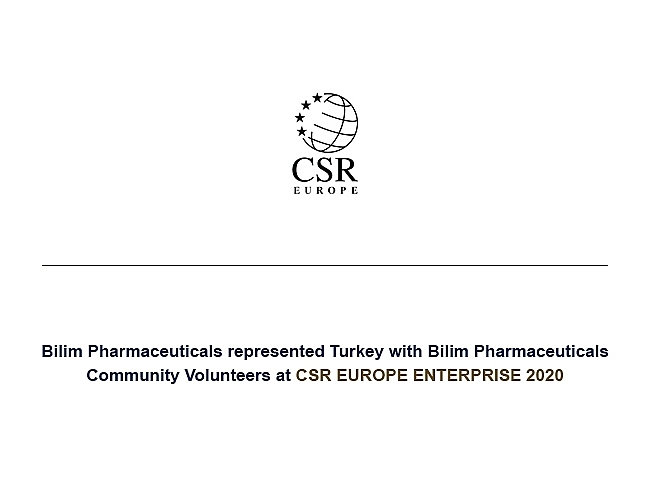 “CSR Solutions Award” by CSR Europe-Turkey. 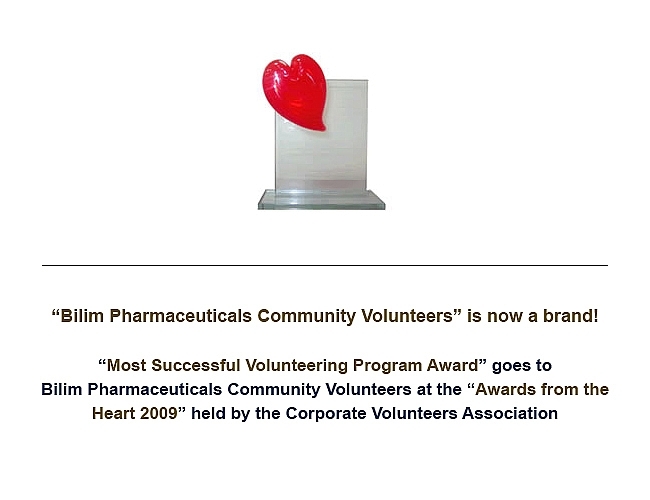 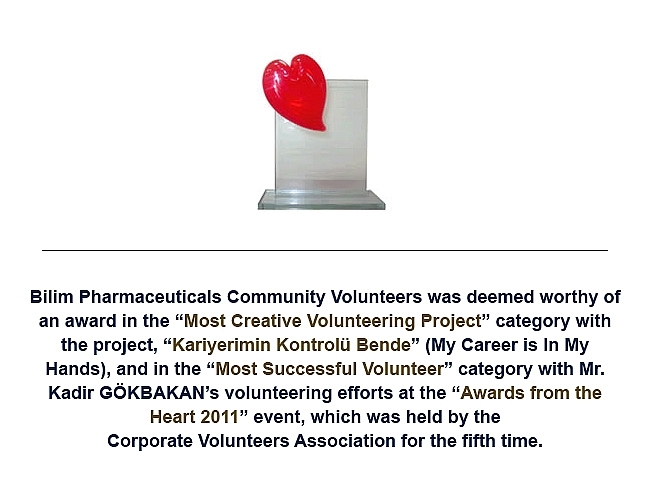 “Most Creative Volunteering Project” and “Most Successful Volunteer” awards at the “Awards from the Heart 2011” event.